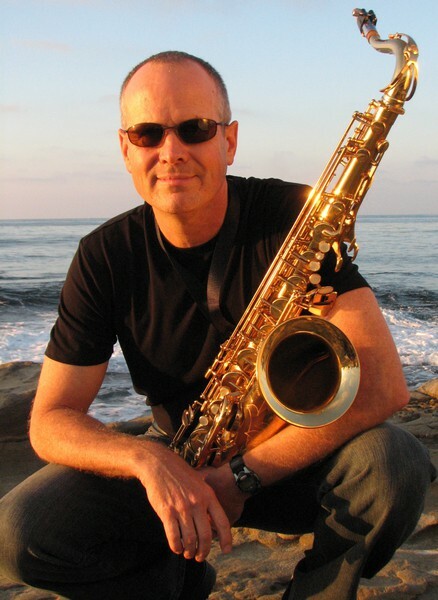 Saxophonist Bill Shreeve has been a mainstay of the San Diego music scene for over 3 decades freelancing as well as leading his own groups from jazz to pop and rock and roll. He can be seen in clubs and festivals and has led bands of all sizes for corporate events, weddings and you name it. Bill plays tenor, alto, soprano and baritone saxes as well as flute and EWI (electronic wind instrument). If you are shopping for some live music for your event, you have come to the right place. Bill has something for everyone as you can see on the music page where you can listen to clips and see videos of his many configurations. Also be sure to check out Bill's CD 'Feel This' which showcases his writing and playing prowess. And while you're here, why not get on Bill's email list so he can occasionally invite you to his events?